All-Tech can expertly service your vehicle if your ride is large, small, new or even a classic edition! We pride ourselves on getting your vehicle serviced quickly and accurately by doing it right the first time. Our competitive pricing and quality repair keeps our customers coming back and referring us to friends and family. We are proud to be an alternative to the dealership by providing services that keep your vehicle in the factory warranty. All-Tech offers preventive maintenance services to our customers including standard manufacturers mileage service at intervals of 30K, 60K, and 90K miles for most cars and light trucks. Our technicians have years of experience in the automotive repair field and use only the latest factory approved techniques. Our mechanics use the highest quality parts and fluids to service and repair your vehicle. All-Tech Transmission, Inc. not only provides top-notch transmission service, but general automotive repair as well. Changing your oil, rotating tires and checking all the fluids in your vehicle can go a long way to preserving your car. As a hometown auto shop, we care about our customers and have only your best interest in mind when repairing your car. 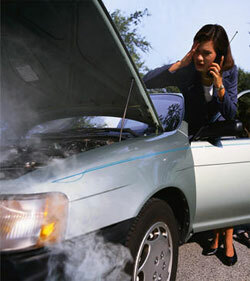 We offer quality service, reliable experience, and expert repairs. Our customer service includes information on repairs we feel are prudent to the safety and best interest of our customers vehicles and we explain it in layman's terms. We are committed to providing the highest quality service, the best trained technicians and superior diagnostic equipment to protect your investment in your vehicles for personal or business use. Fleet Services Available - We offer a full range of fleet vehicle repairs and preventative maintenance services to handle all of your fleet needs. Come to All-Tech for all of your vehicle maintenance needs and keep your warranty in effect with the experience of trained technicians. Except for factory warranty work and recalls, you never have to go back to the dealership for service or maintenance. Federal law prohibits new car dealers from implying or denying warranty services because routine scheduled maintenance was performed at an independent repair facility. There is no need to take your car to a dealership for the manufacturers recommended service. For a fraction of the cost, come to ALL-TECH. Be sure to ask how you can get a 3 yr/100K mile warranty! The personal and professional work performed at All-Tech Transmission is why we have satisfied customers coming from throughout the Northern Virginia area including Prince William, Fauquier, Stafford, and Fairfax County as well as surrounding areas. Give us a call and speak with our experts today and see why today's customers are our referrals for tomorrow!